When Lancia entered the Aurelia in competitions, it began a new era in their history, as historically, Lancia had generally not been interested in racing. As Vincenzo Lancia, the company's founder and guiding light,had been an internationally recognized race driver and knew well the perils, he kept his company away from competition. 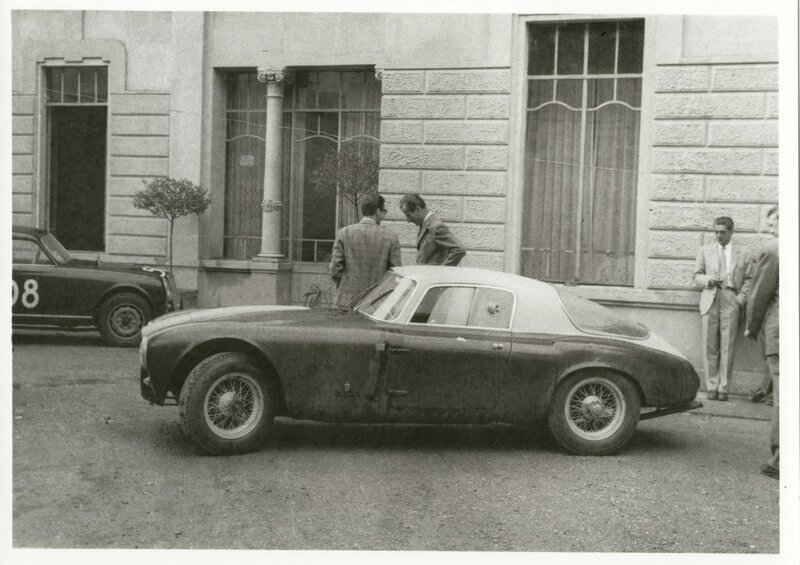 Factory involvement in racing with the Aurelia began under Gianni Lancia and Jano, Lancia's lead engineer, at first with modest support for private individuals, gradually evolving a few years later into a full works race effort with special built cars. The ultimate result was a full-fledged separate racing department, and a commitment to race cars independent of their production model, which culminated in 1954 when Lancia entered into the rarefied world of grand prix racing. The Aurelia was quickly embraced by Italy’s postwar racing enthusiasts. It provided balanced performance with its fresh chassis and unique six-cylinder motor and even underpowered, did well in competition. It was a more sophisticated alternative to the small-capacity “specials” that typically had reworked engines based on Fiat blocks. 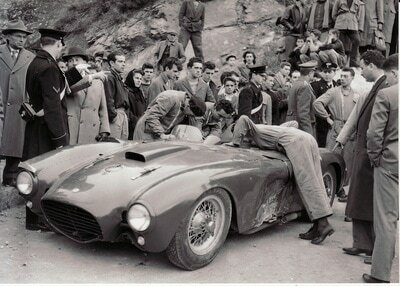 More serious racing cars, such as Ferrari, Maserati, or OSCA, were outstanding but in very limited numbers and expensive. Lancia’s cars were not cheap, but they were more advanced in their chassis, quite usable and reliable, and more readily available. 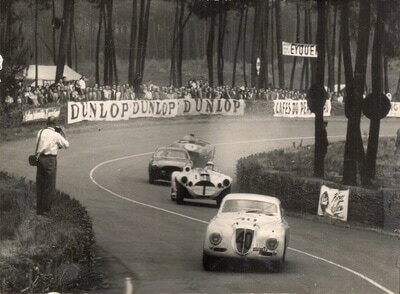 Thus, in the early 1950s, Lancia had a significant advantage over other road racing cars in Italy, and had a strong presence on the racing field. 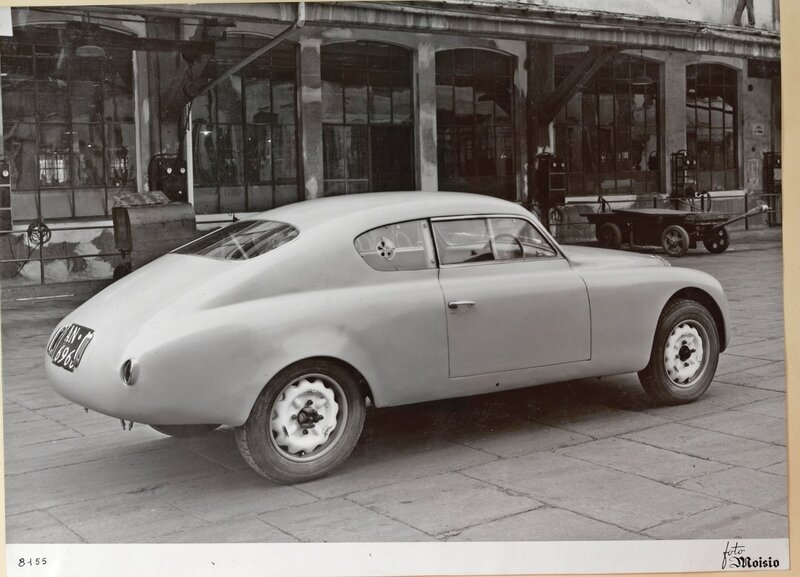 A larger organization, deep in engineering and fabrication capabilities, Lancia was able to design a stiff unit body and a sophisticated suspension, resulting in superior handling and comfort. While underpowered for the track, the Aurelia’s usable torque was ideal for mountain roads and rallies. It soon became the darling of Italy’s gentleman racers and the car to have. 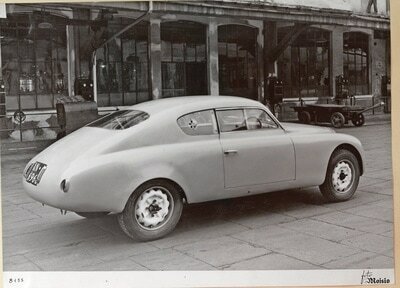 This changed when the Alfa 1900 and Fiat 8V arrived, luckily for Lancia only after the B20’s early success. 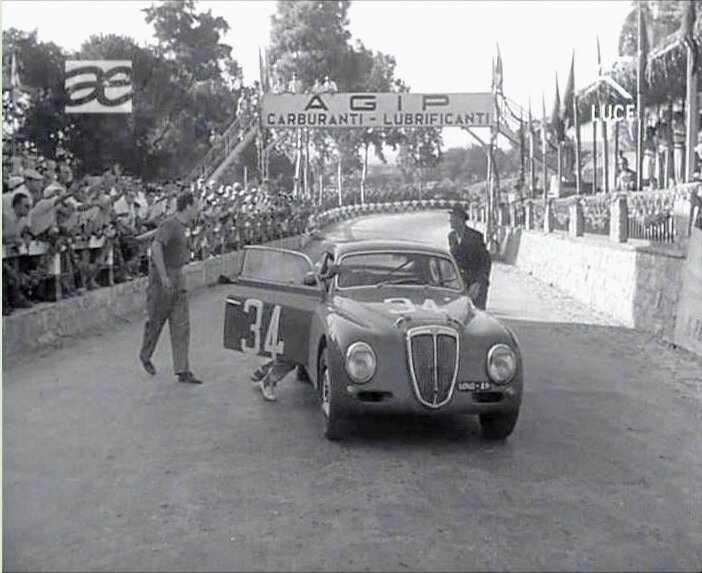 Bonetto's famous win at the 1952 Targa Florio, pushing the car across the line.